This newsletter is prepared monthly by volunteers of the In2:InThinking Network. Content comes from volunteers. We invite you to help develop our Network by sharing this newsletter. Meet Debbie Brown, our first network member from General Motors. Leadership position in General Motors Engineering department. Resides in Detroit, Michigan. Have lived and worked for GM (4 years) in Japan. Variety of work experiences ranging from electrical engineering , industrial engineering, component sales, strategic planning, and operations manager for some of the top executives in GM. Outside of work my passion is horseback riding - dressage. Involved on and off for about 4 years in the Ongoing Discussion conference calls. Diversity of topics presented, very fresh thought process and views about current issues, excellent food for thought, and opportunity to keep my somewhat "out of the box" thinking going by interfacing with groups well outside of the company I work in. In a recent Ongoing Discussion call the presenter talked about allowing thoughts and ideas to penetrate and "digest," rather than forcing decisions too quickly. The thought was too many times poor decisions are made because of the unconfortable feeling we have when something is not resolved and our sense of urgency to "fix" it. I had a major issue to be resolved and shortly after hearing that discussion, I relaxed and even walked away from the issue. In a more relaxed setting the answer became very clear and even simple. The implementation proved the answer to be the right choice. Not reading a book at the moment - but read almost cover to cover of Fast Company magazine. Enjoy!! Be open minded and allow the thoughts provided to gel and you will find they are amazingly applicable to your own environment. 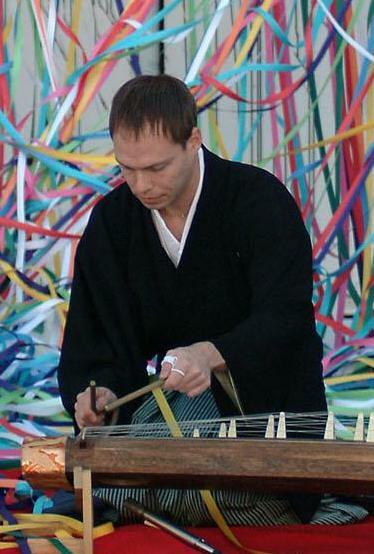 Meet Kris Bergstrom, founding member of taiko group On Ensemble, which will join us again at the In2:InThinking Forum in 2007. Taiko performer living in Los Angeles. Very interested in the Free Software and Free Culture movements. Trying to apply the ideals of sharing and collaboration to music. My taiko group, On Ensemble, performed at the 2005 In2:IN Forum. Before this, my father, Jon Bergstrom, was an enthusiastic participant for a number of years. Principles of Digital Audio :) It includes very technical and detailed information about the encoding and error-correction methods used in digital audio, but to me it reads like a novel about creative problem solving and untiring dedication. The chapters on the CD are fantastic, inspiring even. The genius of the CD design gives me the same rush I feel when I hear a great new song or see a good movie. I'm trying to tranlate some of the most interesting technical concepts into music in a new composition I'm working on. For me, there is no division between science and art. Get to know Bill Bellows! This debut seminar has been postponed until 2007. We continue to be excited about offering a course which differs from the conventional courses on project and program management (PPM) in that, whereas they work from the inside out, this course works from the outside in. It takes a systemic rather than an analytic approach to the process. Rather than work on aspects of PPM taken separately and then trying to synthesize them into an overall approach to the process, this course starts with the effect of the organizational context within which PPM takes place. It shows that without changes in this context, PPM is severely handicapped. The problem then, for those who cannot control the organizational context of PPM, but can control such management itself, is how can they approximate the types of context changes required to make PPM effective? In this seminar, our aim is to show you how to achieve these results. This book provides insights about ways to become a better critic of your own thinking in order to be more fair-minded, reach greater self-understanding and make more intelligent decisions about your life and work. I rank this as an extraordinary reference to assist in gaining better understanding and control of our thinking. "Critical thinking is that mode of thinking - about any subject, content, or problem - in which the thinker improves the quality of his or her thinking by skillfully taking charge of the structures inherent in thinking and imposing intellectual standards upon them." Critical thinkers strive to develop essential characteristics in their thinking patterns. These traits include intellectual integrity, humility, sense of justice, perseverance, fair mindedness, confidence in reason, courage, empathy and autonomy. The book describes how we can develop these characteristics through practice. One of the most important traits of critical thinking is the ability to assess one's own reasoning. The book recommends that at least nine intellectual standards be considered in our reasoning. These include clarity, relevance, logicalness, accuracy, depth, significance, precision, breadth and fairness. As critical thinkers, we can think about our thinking (is this "InThinking"?) with these kinds of questions in mind: Am I being clear? Accurate? Precise? Relevant? Am I thinking logically? Etc.? We can apply these kinds of question to our own thinking and ask questions of others that bring greater clarity to the issues at hand. These will help us examine and evaluate assumptions, identify relevant facts, recognize contradictions, explore implications and consequences, compare perspectives, explore beliefs, evaluate credibility, assess solutions to problems and read and listen critically. This book will challenge you to gain much greater understanding of your own thinking and to apply this in every aspect of your life. It requires us to become thinking "black belts" through sustained practice of these concepts and tools. Perhaps "blue belts" would be more appropriate for enterprise thinkers in the In2:InThinking Network. This is the second installment of Haydn's article. If you would like to read the entire article, click the link at the end of this section. For more insights from Haydn, visit his blog. The Flexible Brain From an evolutionary perspective people don't change much. At the level of our DNA we're not vastly different from Palaeolithic humans. We need to eat the same diets, more or less, and should follow roughly the same patterns of exercise. We are rigid and inflexible in these genetic matters. The circuitry of our brains on the other hand is infinitely flexible. Martin Seligman's work on failure reflects the downside of this. People who repeatedly experience failure will learn how to feel helpless and fail even more. The reason isn't just a learned pattern of responses but a chemical reworking of the brain that predisposes people to giving up. The upside, as positive psychologists and cognitive psychologists know, is that if people begin implementing patterns of behaviour with positive outcomes, the brain will rewire for success. That principle lies behind many of the major changes in the communications landscape over millennia - the evolution of the alphabet (and the development of a phonetic symbolism for experience), writing (and the evolution of abstraction), printing (and the birth of objectivity)... Computing? And the principle we bring to those issues is the simple one that whatever else stays constant, the brain will always adapt. First though, a few words on what is changing in communications. The 21st century has seen the proliferation of media types. If we go back over the past 500 years we can ascribe some form of categorisation to this change. The printing press gave us books, pamphlets and political tracts. It led in time, once there was adequate distribution with the arrival of the train, to newspapers. The invention of telegraphy eventually gave us the telegram and the telephone and as technologists played around with the wireless possibilities we were treated to the radio and then the TV. And in the meantime film was born. There are a few major innovations behind the evolution of a media landscape many of us grew up with. Printing presses, trains, telegraphy/telephony, moving picture capture, and radio-diffusion. What difference does the Internet make? In terms of distribution the Internet takes the cost of picture/video distribution close to zero to the end-user/content producer. If that was its only contribution to change it would be a substantial one. It also makes distribution instantaneous. It is we rather than the product that is often not available. In terms of content production the Internet and advances in processing technologies (not just the chip but also the algorithm) the current media environment now consists of around thirty innovations including podcasts, vidcasts, blogs, RSS feeds, aggregation of content, automation of content production, online classifieds, new forms of search and search result visualisation, personal TV stations, social bookmarking, social networks, Wikis, mobile content (two minute movies), SMS of course, mixed media productions, virtual worlds (Second Life), start pages. The list is so long that it begs a little understanding. What does it mean? The reality is only a few things are happening though they are happening in many ways. The fact is everybody (within sufficient media literacy) can create a content object that can be freely distributed to everybody. This is the flat earth syndrome. There are going to be no media hierarchies, we think. That in turn means traditional media companies are threatened, though they have audience loyalty and should survive that threat. Many of the people who create media objects like blogs, vidcasts etc., have them aggregated by others (so there is a hierarchy!). Aggregation simply means a site that compiles extracts from other sites/media objects and presents that aggregation as a new media object. Search becomes more pressing and important as do social networks which collectively bring some sense and order into the content ocean. This is not like a revolution but in its essentials it signals dramatic change. The "media" for over 150 years have acted as a mediating power between corporations, politicians, authorities and the population at large. They are the cornerstone of the societies we have known and lived in. They make compromises to stay in business but they have also executed successfully and maintained themselves in this mediating position, reporting news on corporations, politicians and authorities, while earning ad revenue and staying out of gaol. We are taking that cornerstone away. The result might simply be that corporations, politicians and authorities have to go out seeking more mediating points to maintain their presence and credibility. The result might also be, though, a profound loss of certainty, a loss of societal identity, the breakdown of what limited commonality societies enjoyed. Perhaps it impacts memory and patterns of remembrance. Our appreciation of creativity and its purpose might also be changing. The next part of this article will ask if so, how? The Ongoing Discussion (OD) for November will feature Jane Lorand, co-founder of the GreenMBA program. On Monday and Tuesday, November 20th and 21st, Jane will engage us in a dialogue on her thoughts on why The Impossible Has Become the Inevitable. This month's OD announcement will be released on or before Wednesday, November 15th. Continuous or process improvement is essential but not enough. These projects provide excellent and often dramatic pictures of improvement, which can be used to launch into the next stage, i.e. the transformation of the thinking of the whole organisation. But this next stage invariably proves infinitely more difficult as we are moving into the area of the underpinning theories of the whole organisation and the concepts of organisational learning. Check out John Dowd's Asia Times article on Dr. Deming's first visits to Japan in a recent article in the online Asia Times. Confirmed conference speakers include Diane Beakey, Micah Fierstein, Ann Majchrzak, Paul Morgan, Joseph Parent, John Pourdehnad, Bob Pratt, Sheldon Rovin, and Lyn Wiltse. In this feature, we highlight a Partner Organization of the In2:InThinking Network. We believe the resources of these organizations will expand your thinking about thinking... 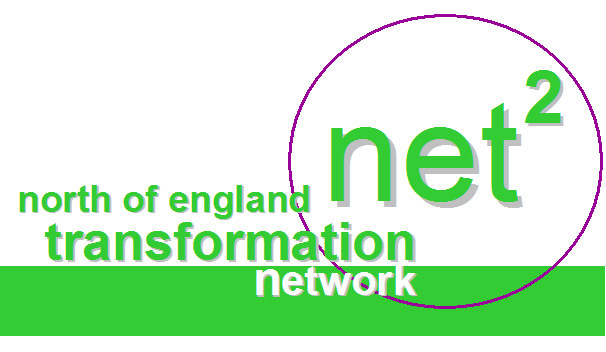 This month we are featuring the North of England Transformation Network (NET2), whose mission statement is "NET2 Creating Impulse for Change." We aim to make the workplace a better and more productive place to be - for the benefit of everyone in the system. Members meet on a regular basis four times a year. The usual venue is the Kirkdale Conference Centre just off junction 25 M62. We are a not-for-profit network of individuals who share a common interest in organisational transformation in the geographical area of Yorkshire and the North of England. NET2 members have been regular attendees at the In2:IN's annual Forum and a number have presented papers. We have also hosted presentations by Bill Bellows on a number of occasions. Our members represent a wide spectrum of organisations such as engineering, Local Government, building materials, Civil Service, leisure/tourism, education, banking and retailing. Many perspectives are brought to the network; owners, managers, employees and consultants. "The effectiveness of a network is inversely proportional to its formality. It needs a spider not a chairman, a list of members, not a set of by-laws, groups not committees and a phone number rather than a building" - NANCY FOY - THE YING AND YANG OF ORGANISATIONS - 1980. When Nancy Foy wrote the quotation above she could not have known about the Internet and the opportunity it would give a group such as ours. We think that Nancy Foy describes our philosophy well. We like to think that NET2 is effective, but informal. Text based email is the primary form of communication. The web site contains information about the regular scheduled meetings, dates of forthcoming special events, reports of previous meetings, useful resources and links to member's web sites. Information about how to become a member is available on the web site. See the web site for various papers and links to member sites. Future meetings include a report from the four members who attended the WEDI Fall Meeting at Georgetown University Conference Centre and presentations about setting up a new business along "Deming lines".